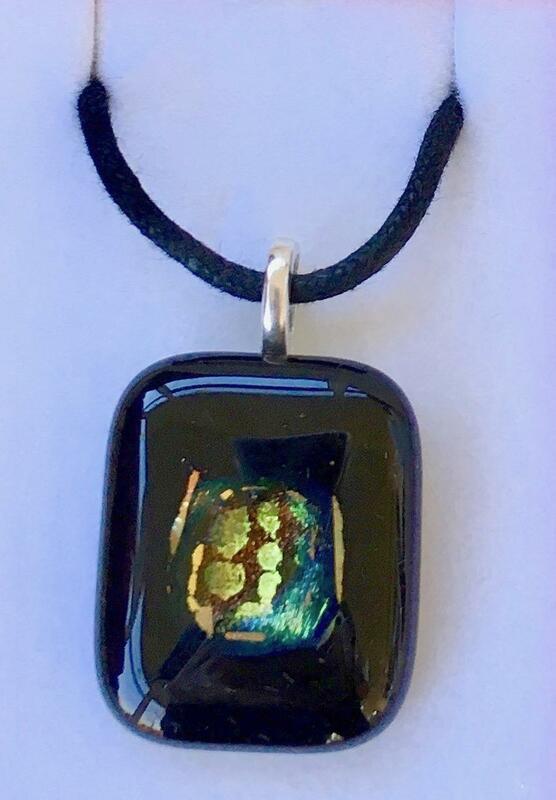 This pendant measures approximately 2.5 cm wide by 3.0 cm high. It has a plated silver bail and a black coloured 2mm diameter necklace in waxed black cotton necklace approx. 42 cm long (17 inches) with alloy lobster claw findings that are non allergenic.